For more on the history of Black Crows, check out our first conversation with their co-founder, Camille Jaccoux, and head ski designer, Julien Regnier. 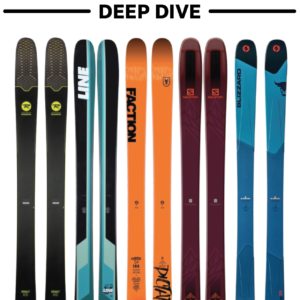 And if you’re interested in Black Crows’ new 18/19 skis, you should listen to our second conversation, where we go over the whole 18/19 lineup. But getting back to the Orb, our main questions coming into this review were (a) how piste-oriented the Orb would feel compared to the other ~90mm-underfoot skis we’ve been testing, and (b) how it would handle more variable conditions. Luke Koppa and I both put time on the Orb last season, so here we’ll offer our impressions. The Orb certainly isn’t a noodle, but it has a very accessible and round flex pattern. Every bit of the ski can be flexed and accessed when needed, but it’s still quite supportive in its midsection. The Orb’s weight is one thing that stood out to us right away, so let’s first put it into perspective. While 1,850 grams might seem quite light, from a suspension / damping perspective, the Orb feels a bit damper on snow than its weight would suggest. I think much of this is due to the ski’s construction. The Orb has a poplar core (as opposed to a lighter paulownia or balsa/flax core) with two sheets of full-length titanal and a fiberglass wrap. This is a construction that’s similar to what we’ve seen on some very stable all-mountain skis such as the 17/18 Volkl Mantra and Kendo and Nordica Enforcer 93. Though, granted, those skis are significantly heavier. But if done properly, this kind of construction can result in a smooth, damp ride. Luke Koppa on the Black Crows Orb, Taos Ski Valley, NM. While Luke and I have been able to ski the Orb quite hard in forgiving, soft, spring conditions and smooth, firm snow, it wouldn’t be our first recommendation for those looking to hit mach speeds on very firm or roughed-up snow. But if you’re looking for a ski that is quite maneuverable, easy to flick around, and offers a fairly damp ride for its weight, then the Orb is a good option. And for the record, we would all be very interested in testing the 183.4 cm version of the Orb. Since the 178.3 cm Orb feels like it skis slightly short — and it’s also a pretty light ski — we think the 183.4 cm could offer a bit more stability without feeling very demanding. The Orb’s edge hold on groomers feels good, but it’s certainly not class-leading. The Orb also has a pretty long (though not very dramatic) section of tip taper that decreases its effective edge, making it feel a touch short, especially on firmer snow. Luke also felt like he wasn’t able to really access the Orb’s tip as much as he could on skis such as the Liberty VMT 92 or Line Sakana, which have big, fat tips with a lot less taper. That said, on anything softer than ice (where we have yet to test the ski), the Orb carves well, and this will definitely be noticeable if you’re coming from wider skis. Turn initiation feels easy and intuitive, and the ski tracks quite well until the groomers get all chopped-up late in the day — then it can get knocked around a bit. The Orb’s tail feels supportive, but is also forgiving if you get a little backseat. So if you’re looking for a very high-energy, precision carver, there are better options in this category. But for a ski that skis so well off piste (see below), I personally am quite content with the Orb’s carving performance. It’s also worth noting that Luke and I both thought the Orb felt just a bit locked-in with the factory tune. We’ll update this when we’ve had a chance to play with the tune to see if this makes any noticeable changes on snow. While we doubt many people will be extremely concerned with the 91mm-underfoot Orb’s performance in powder, I did ski the Orb for a day at A-Basin after a nearly 3-foot storm cycle, and was able to get deep turns all day to see how it performed in deep snow. The Orb is obviously pretty narrow for deep pow, so it unsurprisingly doesn’t float all that well. But overall, I was quite surprised by how well the Orb handled deep snow. The tapered shovels kept it from feeling too hooky, but I think one of the main reasons why the Orb does well in powder (for its width) is its flex pattern. In powder, the lack of energy and rebound that I felt on groomers turned into a really good thing. The Orb planes predictably (though the tips will still dive in deep snow) and the round flex allowed me to transition into a neutral (or even backseat) stance to keep the tips up in deeper snow. Sam Shaheen on the Black Crows Orb, Taos Ski Valley, NM. That said, the 178.3 cm Orb does have a tendency to sink and punch through soft snow, especially when pushed hard, but that tends to be true of most ~90 mm wide skis. This isn’t a powder ski, or even a “day after the powder day” ski. This is a ski for all those other days. But if you do come across some deeper chop or soft snow, I’d say the Orb performs admirably for its width. The Orb feels quick, fairly damp for its weight, and has a forgiving yet supportive tail. This is a good combination for bumps, and overall, I thought the Orb performed quite well here. Whether zipperlining big, fall-line moguls or hopping around on funky double fall lines, the Orb never felt out of place in bumps. 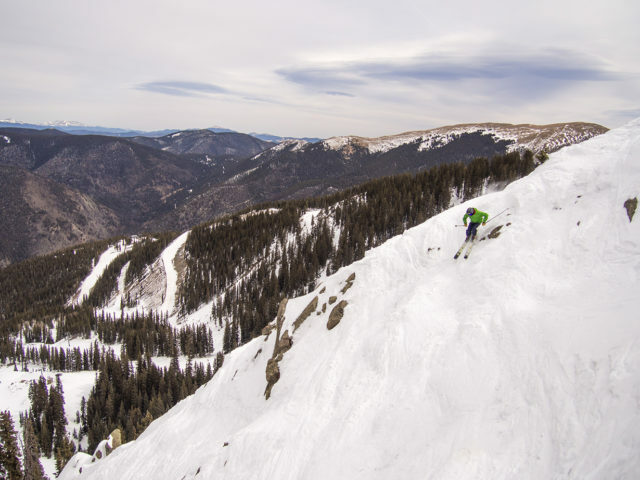 When skiing steep, fall-line moguls down Zdarsky in the West Basin at Taos, the Orb felt supportive, willing to be driven, and comfortable while weaving through bumps. The steeper the terrain, the more it seemed like the Orb was in its natural place. The Orb’s tail felt supportive if I got back seat, but still quite forgiving (again, it has a pretty round flex pattern). If you get too far back, the tail will encourage you to correct rather than put you on the ground or send you rocketing downhill. My only gripe about the Orb in moguls is its lack of energy. The same calm feeling it has on groomers translates to bumps, too. The Orb feels fairly quick because of its low weight, but while some other skis feel quick because of the energy / rebound of their flex, the Orb doesn’t as much. It has a more planted, calm feel rather than an energetic, dynamic one. 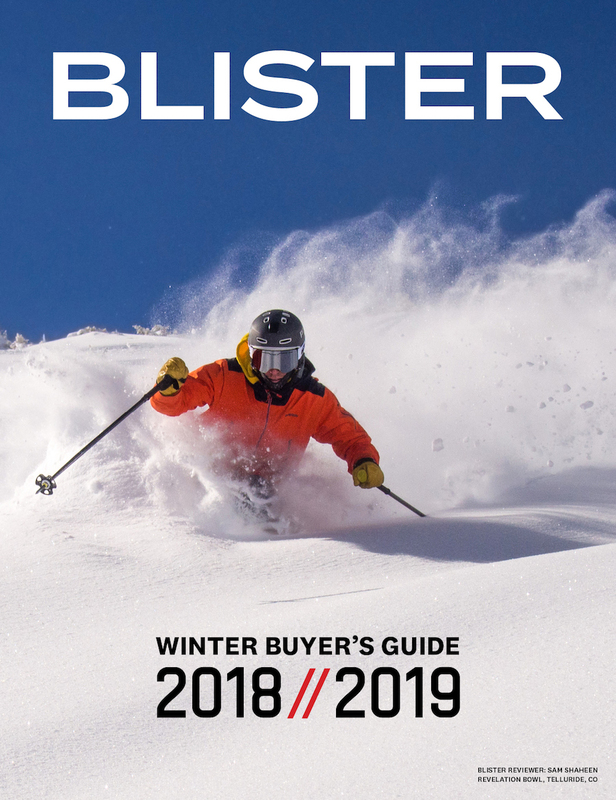 Granted, this is definitely a pretty subjective, personal gripe — I tend to prefer skis that cater to a more dynamic skiing style. So while I’ve certainly had fun on the Orb in moguls, it wouldn’t be my personal first choice for a pure bump ski. Luke Koppa, on the other hand, enjoyed the Orb during the brief time he used it in bumps, and this makes sense as he takes a less aggressive, less dynamic approach to moguls than I do. The Orb as a 50/50 ski? I think some people would be happy with the Orb in the backcountry given its fairly low weight and strong off-piste performance. But for me personally, it’s hard to justify touring on a ski that’s over 1,800 grams and is as narrow as the Orb. At 91 mm underfoot, the Orb falls more in line with mountaineering and firm-snow backcountry skis, and I personally prefer a dedicated ski for that sort of touring, not a 50/50 ski. And of course, it’s worth noting here that Black Crows makes a touring version of the Orb, called the Orb Freebird, which features a lighter construction and a stated weight of 1495 grams for the 178.3 version. We haven’t however, been on the Orb Freebird, so we can’t comment on its performance. Could you use the Orb as a 50/50 ski? Of course. And I think some people might really like it for that use (particularly if you live in a lower-snow area). But I would personally choose something wider and / or lighter for a 50/50 setup since I mostly ski in Colorado, where I usually tour for light, mid-winter powder, spring corn, or steeps on bigger objectives. 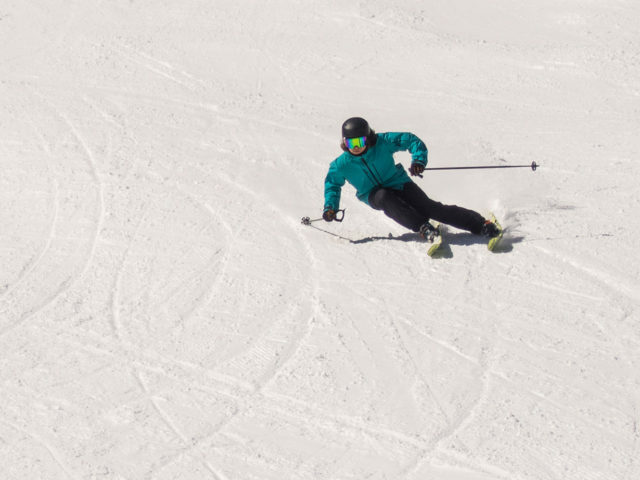 So far, we’ve found the Black Crows Orb to be a surprisingly versatile ski. At 91 mm underfoot, it skis groomers well, though it’s not the best carver in this class. But where we found the Orb to really excel is in off-piste bumps and steeps. It’s very maneuverable and has a nice, round, forgiving flex pattern — a combination that we think many people will get along with. The Orb is fairly light, so it’s not the best ski for charging in variable snow, but if you don’t need best-in-class stability and you appreciate a lighter ski, the Orb offers a nice blend of suspension and low weight. So if you’re looking for a ski to break out in between storms and you spend just as much time (or more time) off-piste as you do on-piste, consider the Orb. Looking for Front side ski to use mainly at WP/Mary Jane on days without much new snow to round out quiver. Replacing some old pocket rockets with Soul 7 and a TBD ski. Want something I can hammer bumps on. Would this be an ideal fit for that vs something like the Brahma or Enforcer 93? James, though I don’t have much time on the Brahma or Enforcer 93, I will say that I think the Orb would be a great ski for Mary Jane style bumps, especially if you tend to prefer lighter skis (like the Soul 7). thanks Sam… I had sent and email a while ago asking you guy to compare the Parlor Cardinal vs the Black Crow Captis. I am realizing that might not have been a good head to head. Now that you guys have had some time on the Orb i would be curious how you would compare it to the Cardinal 90. I don’t know if you guys have spent time on the Cardinal 90, so what about the Cardinal 100 vs the Daemon? Hey, Brian – I’ll field this one: we haven’t yet received the Cardinal 90, so can’t comment on that yet. But as for the Cardinal 100 vs. Daemon, in the same lengths, the Parlor 100 feels like the much stronger, more solid ski. The Daemon has a *lot* more tip and tail splay, so it is a much more soft-snow / deep-snow oriented ski than the Cardinal 100. In the 185 length and flex pattern we reviewed, I’d also say that the Cardinal 100 feels like a ski for advanced and expert skiers; the Daemon felt like a much easier ski that works well at very low speeds. It’s not that the Daemon can’t be pushed hard in softer, more forgiving snow, it’s just that the 185 cm Cardinal 100 we reviewed wants you to drive it as you would a more traditional ski. Hope that helps a bit. Last year I found the 183 17/18 version of this ski to be a “sweet spot” standout, just the right length (me 150, 5’10”). While versatile and quick edge to edge, it liked a fall line approach to frontside and some off piste skiing, and was great when the front got a bit skied off or crowded, bump and quick edge on some ice maneuvering required (in the Rockies). It was very stable at speed – again, a standout among the skis I demoed. It has a bit of playfulness to it. Not sure the shorter version would be as good, especially fore-aft. I came very close to buying it – but too many skis. I have had my eye on this ski for a little while. 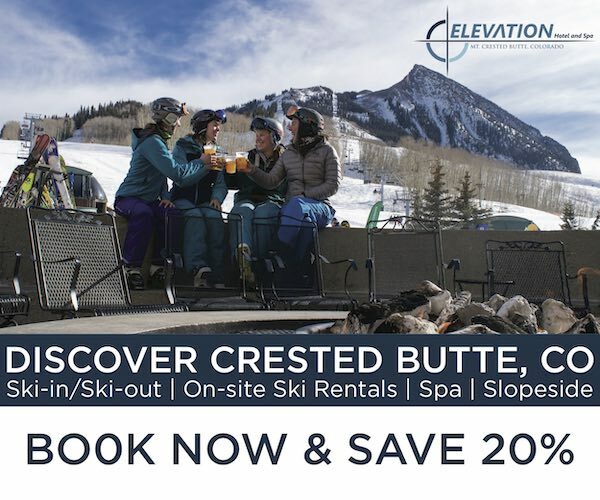 I ski resorts in the east 10 days a year and out west in Utah 10 days a year. Im looking for a resort ski that can handle groomed and ungroomed runs well. I am a 6 foot 225lbs advanced skier. I am Also curious if people like the Daemon over the Orb. Ive never skied a reverse camber ski and im a little nervous about how it would carve compared to a traditional cambered ski. The Daemon does sounds like it can truck over variable snow which could be helpful at Snowbird. I would apreciate feedback on either ski. Keep up the good work. I love the podcast and website. Used Masterblasters in 181 (95 mm waist) this year and am mighty impressed. How do you think they compare ‘all mountain’ with the Orb. Short answer, Bradley: While I want to get more time on the 178 cm Orb, it is much lighter and will feel quicker in moguls. The 181 Masterblaster is heavier and is going to feel more stable and planted in chop and crud. I still think of the Masterblaster as a more playful Bonafide (a heavier, more planted ski). 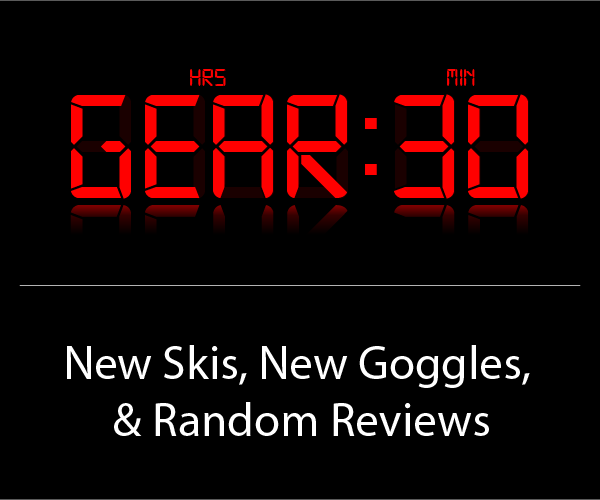 Thanks for the review, I’m replacing a Blizzard Brahma 180 cm for my main East coast ski. I love the way the Brahma skis, it’s been great fit for me. That said I’ve been amazed at how much the top sheet chips off. I don’t mind how it looks but i was definitely concerned that the ski didn’t last too long, it lost a lot of it’s hard snow performance too quickly, in my opinion. Something that you need on the east coast. I’m a big fan of the Black Crows skis I have the Corvus for the west coast and softer days (though it skis really well in firm conditions too.) I was thinking the orb ski would be comparable to the Brahma? I’ve heard there’s a new review coming of the 18/19 Brahma and it got some love on the recent podcast? The other ski i’m considering is the Nordica Enforcer 93. Love to hear any thoughts? Thx! Hey Mono, we are working on the Brahma review right now. My initial feeling is that the Orb won’t match the hard snow performance of the Brahma, if for no other reason than the long tip taper shape. It’s definitely an interesting comparison though. Looking for a 90-110 daily driver that will prove to be fun in pow/chop. 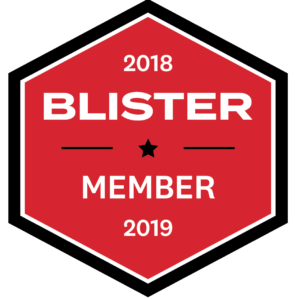 Current skis are 190 blister pro, 184 Bibby Pro, 189 pb, 184 wailer 99 and 181 master blaster. I’m 6 feet and most of my peers would describe me as a charger- grew up racing. Im getting rid of some kye 95s that I have as they are too soft in the shovel and in crud/chop/chunder i get bucked around too much. Ski at crystal (pnw). Been looking at the atris/enforcer- I’d say my on snow impressions are spot on with what you guys write. I’m not looking for another ski to nuke with as the obvious winner would be a head monster- so I’m willing to give up some top end for more play (like I did with the masterblaster). Hey Beandip, 90-110 mm is a pretty big range to consider. On the less playful end of the spectrum, a ski we really like is the Ranger 102 FR. Still, the Enforcer line are all great skis. 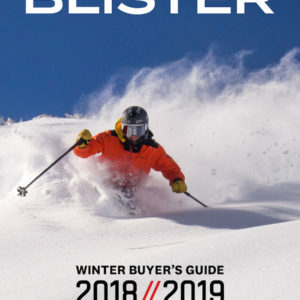 On the narrower side, the Wren 96 is a great ski as is the new M5 Mantra (the Mantra will definitely be more planted, damper, and “more ski” than the Wren). On the wider end, the QST 106 / Soul 7 HD / Sick Day 104 are all great skis that are lighter and more playful than the 102 FR. I’ve not skied the Atris yet, but am excited to try it out. There are a ton of great skis I didn’t mention, but for options in that range, that are fun in pow/chop, those are my first thoughts. Like I said though, that’s a huge width range that covers a ton of the skis on the market, and there are a lot of good skis out right now. Curious with the same question as Nick. I am looking at the 181 Masterblaster with the same requirements/profile you mentioned. How do you like the Masterblaster at speed and holding big turns? What about in soft-ish bumps? Have the 177 enforcer 100 which is too short for me (5’9″, 165) without enough effective edge. Also looking at BC Navis and 2019 Corvus. Hey Matt, the Orb is a much lighter and easier ski than the Masterblaster. For holding turns at high speeds, the Masterblaster is the clear winner. For making quick turns in tight spots, I’d take the Orb. 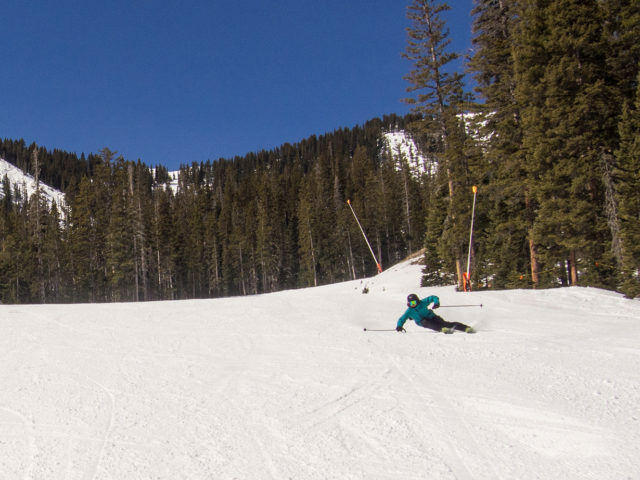 The Masterblaster has a much more planted feel than the Orb (which feels more light, spry, and playful), so depending on your skiing style that might be a point for either ski in soft-ish bumps.